This story is the first of a weekly series, updated every friday. It was midnight, and Nox was in a graveyard that had been built over the crossroads of an old stagecoach trail. She had flax seeds clenched in one hand to keep down the unquiet dead, only a flick of the wrist was needed to scatter them over a grave. Not that they would work on the one she was here to see, he was neither dead, nor entirely alive. But she knew his name. And she knew he would answer her call. Near the gate a vague shape formed, barely visible under the dim light of the stars. The church grimm was here, guardian of the paths between the living and the dead. And he was playing hard to get. Her aura crackled with the intensity of the energy she put into the call. A slight breeze ruffled her hair, and a mix of amusement and annoyance flickered in her dark blue eyes. He’d always had a flair for the dramatic (or melodramatic, as she had often teased) and this place certainly fit the bill. Cool! I really liked this one! It seemed so dark and ominous and then…there were doughnuts. Just perfect. Keep up the good work!!! Welcome to #fridayflash. Very well written debut piece – lovely imagery all the way through particularly the doughnut loving grimm. Boston Creme doughnuts were my favorite when I was growing up! Well done imagery throughout your lovely story. Very nice — and not just because I love Boston Creme doughnuts too. I like the contrast between the sweets and the grimm. The way she reverses the binding is very touching. I liked it a lot. The interplay between the two works very well. And the line, “You know the rules, call thrice and I shall appear. Or bring doughnuts, ” is priceless. This was great! A donut-loving Grimm. 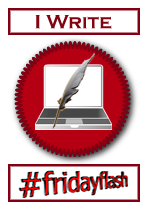 Welcome to #fridayflash! That was really good! Yes, I want to know more also. Very endearing characters. And donuts…fantastic! Okay, now I seriously want a donut! Interesting characters, like the interjected humor also. Welcome! I love this! It started out all eerie and cemetery-ish, but donuts? O.o I’m looking forward to more from you! Very nice. A bodyguard is always better as a friend instead of a “paycheck” anyway. OK – I SOOO loved this one! I loved everything about it! I’m not generally a magical fiction reader, but I would read the whole whole whole book, cover to cover, if this were the first chapter of their many adventures! And I would read it right away, and not let anything interrupt me! That was a pleasure!! Please write the rest of the book immediately! I’m cranky that I can’t just go buy it right now! A fun engaging introduction. Nice exchange between these characters. I’ll definitely be tuning in to read more about Nox & Grimm in The Penny Dreadful! Having been introduced to this serial recently, I thought I’d come back and read it from the beginning. I had no idea there were so many, this is going to be a lot of fun! I know I’m late to the party but this seems very good. I read the backstory, about the church grim, and I love this idea. I see you took a hold of the lore and ran with it. Great start to what I expect to be a great series! welcome aboard! I’m always thrilled to have new readers stop by 🙂 feel free to drop me a line on twitter @techtigger or google plus +Angie Capozello if you have any questions, or just want to chat about the series. Hope you have fun reading them! This looks like a lot of fun and ticks lots of my happy boxes. I like the sense of history that’s conjured between the characters.